Grace Hwang Lynch is a freelance writer with a focus on food, culture, and education. Her reporting has been featured on NPR, Public Radio International, NBC Asian America, and School Library Journal and her essays have been published by Salon, Shondaland, Paste, and more. 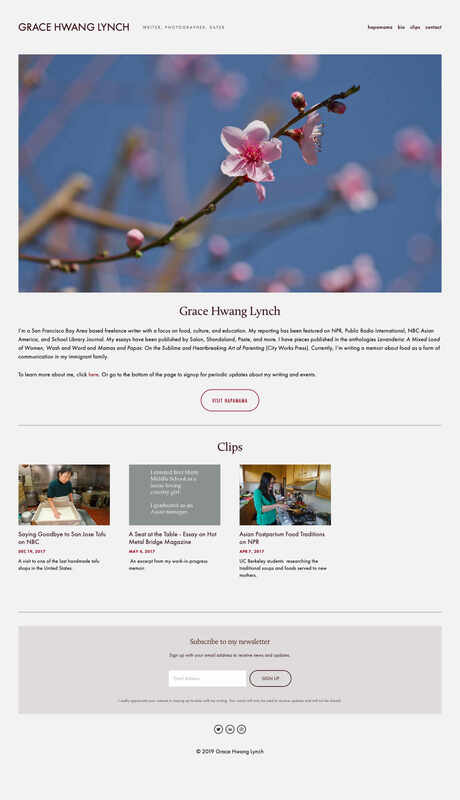 Grace is also the “mama” behind Hapamama, which is a blog of her personal stories, recipes, and interesting news items centering around Asian mixed-race families. Grace wanted an easy-to-maintain, clean and modern website to showcase her articles, essays, and writing. ZapTuba recommended that she consider Squarespace, a web-hosting service with an integrated website builder and management tools, and she agreed. ZapTuba assisted Grace with setting up her website on Squarespace, customizing the Squarespace template she chose for her website, organizing the content, and defining the style .